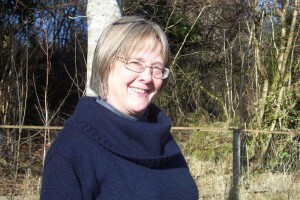 American-born, UK-based Lisa Tuttle is a writer of science fiction, fantasy, and horror as well as an editor and reviewer. She was the 1974 winner of the John W. Campbell Award for Best New Writer, won the 1989 BSFA Award for Short Fiction for “In Translation”, and the 2007 International Horror Guild Award for “Closet Dreams”. Her novels include the Locus Award-nominated Windhaven (with George R. R. Martin), Lost Futures (nominated for the Arthur C. Clarke and James Tiptree, Jr. Awards in 1992), and The Silver Bough. Her short story collections include Memories of the Body: Tales of Desire and Transformation and Ghosts and Other Lovers. Her non-fiction works include Encyclopedia of Feminism and Heroines: Women Inspired by Women. What was the inspiration for your Horrorology tale “Vastation”? Many years ago, reading Leon Edel’s biography of Henry James, I was struck by his description of something that happened to the writer’s father — also named Henry James. Here’s the relevant passage: “One day, toward the end of May 1844, the elder Henry James ate a good meal and remained at the table after his wife and boys had left it. The afternoon was chilly and there was a fire in the grate. He gazed contentedly into the embers ‘feeling only the exhilaration incident to a good digestion.’ Relaxed, his mind skirting a variety of thoughts, he suddenly experienced a day-nightmare. It seemed to him that there was an invisible shape squatting in the room ‘raying out from his fetid personality influences fatal to life.’ A deathly presence, thus, unseen had stalked from his mind into the house.” (from Henry James: The Untried Years 1843-1870 by Leon Edel, copyright 1953) These days, something like that would probably be defined as a nervous breakdown, and doctors in those days took a similar attitude, telling James he had overworked his brain and needed to rest. But James felt it was something else; and attempted to figure out of the evil creature he had seen had come from his own mind or from another realm, eventually finding an answer that worked for him in the writings of Emmanuel Swedenborg. When Steve Jones asked me if I’d like to contribute to his lexigraphical anthology, the word that came immediately to my mind was “vastation” — the Swedenborgian term that Henry James Sr gave to the above-described experience. I was pretty sure nobody else would have beaten me to that word — and I was right. Can you remember the first story you read that made you think “I want to write!”? Well, no — because I can’t actually remember a time when I didn’t want to write, as well as read, stories. So the inspiration probably came even before I could read, from one of the children’s books my parents read to me, or even from the pictures I had to interpret to myself, lacking the ability to read the words that would have explained them. 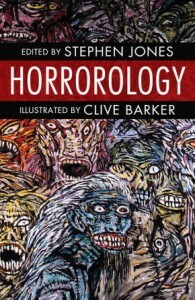 Is horror a sort of natural home for you or do you lean more towards another part of speculative fiction? Although I am not entirely easy with calling myself a “horror writer”, I have always been drawn to the weird, the strange and the supernatural in fiction. That is certainly my natural territory. Even though when I first began getting published in the 1970s I was identified as a “science fiction writer” most of my stories (and they were all short stories then; it took a long time for me to feel ready to write a novel) would probably be better identified as horror or fantasy. But SF was the dominant genre then; there were few markets for weird and supernatural short stories. You’re offered the chance to visit the Library of the Damned — do you accept? Well, I’d probably want to check it out on the internet first, find out what people were saying on TripAdvisor and so on. I’d need to give it some thought. The future of horror is … ? Even if I knew, I wouldn’t be allowed to tell! This entry was posted in News and tagged Arthur C.Memories of the Body: Tales of Desire and Transformation, Clarke Award, clive barker, george r r martin, Ghosts and Other Lovers, Henry James, Horrorology, James Tiptree Jr Award, jo fletcher books, lisa tuttle, neil gaiman, stephen jones, stephen king. Bookmark the permalink.